Have you ever had a realization, usually sparked by something small, that nearly reduces you to tears over how incredible humans are? That the existence of some bizarre thing we’ve created proves how silly and creative and purely beautiful we are? This happens to me a lot. I watch a YouTube video of a man playing clarinet while covered in bees, or listen to a song about thrift shopping, or look at the photo my dad texted me of his garden gnome, and I cry because humans are so weird. All of us. We are entirely united in our weirdness. This recently happened to me while thinking about Bubblegum Vodka. Unlike the other liquors I’ve used so far, Bubblegum Vodka does not make sense. I do not think bubblegum existed when vodka was created. Unlike chocolate and red wine, for instance, there isn’t a longstanding culinary tradition that pairs these flavors. But somebody, somewhere (perhaps at the Georgi corporation) was weird enough to think this would be a perfect product. Thought it out, fought for it, made sure it hit the shelves. So thank you, fellow human, for your weird idea. It greatly helps this other weird human, attempting to make a name for herself by baking with strange things. 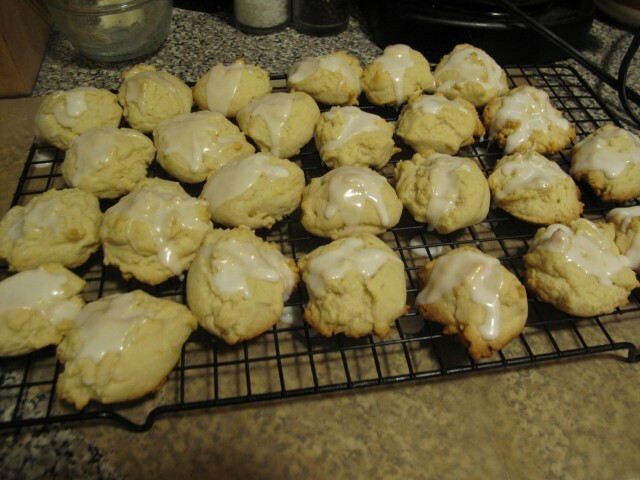 These cookies are pretty straightforward, and do well without the glaze. Preheat oven to 350. In one bowl, mix your dry ingredients (2 cups flour, 1/2 teaspoon salt, 1/2 teaspoon baking soda, 1 tablespoon lemon zest). In another, beat 1 stick of unsalted butter with 1 cup granulated sugar. 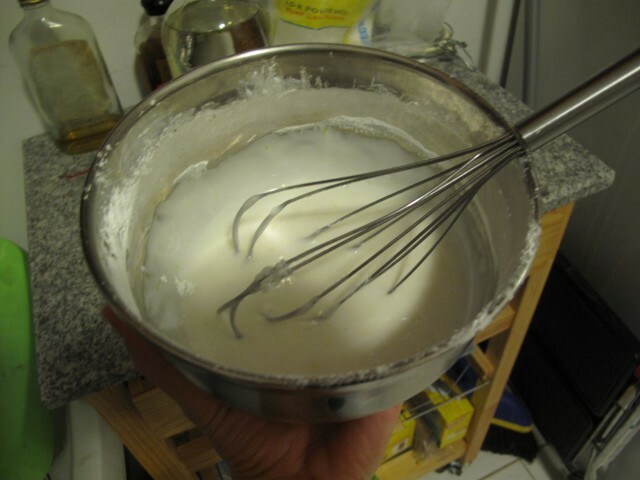 Add 1 egg, 1 teaspoon vanilla extract, and 2 tablespoons of lemon juice, and beat until all fluffy. Slowly beat in your dry ingredients, then drop the dough by tablespoons, about an inch apart, on your cookie sheets. Bake 15–20 minutes until edges are golden. What a nice cookie. 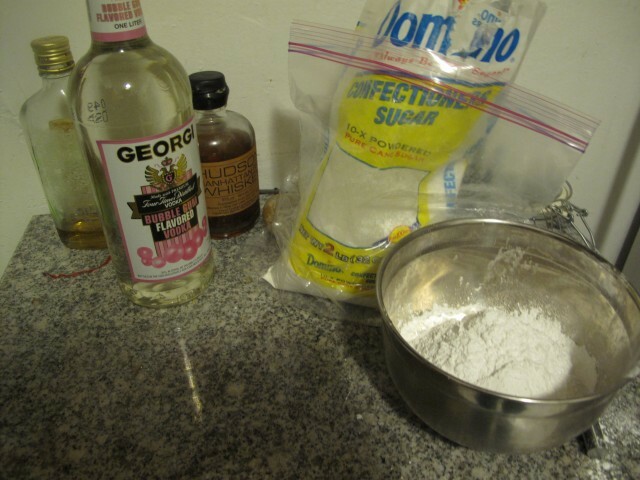 Then, you’ll take 2 cups of confectioners’ sugar, 2 tablespoons of lemon zest, and 1/3 cup of bubblegum vodka and whisk those together. Arrange your cookies on a wire rack with some parchment paper underneath (to catch the drops) and drizzle this glaze over them. Okay, so this whole thing started out as a weird joke about making gross stuff with products that really shouldn’t exist. And now? Well, now it’s turned into making some damn good desserts. Because even though the glaze alone tastes like that bubblegum fluoride foam your dentist made you sit with while he distracted you with magic tricks (did no one else’s dentist do this? ), the combination totally works! Again! Of course, I’m sure the second I turn over this new leaf and dedicate myself to thinking these recipes through and finding the best possible vehicles for these flavors, the whole thing will fall apart and I’ll make something gross. But I’m gonna try, guys. For you. Bonus: As a fun prank, leave the glaze-splattered wire rack out overnight on the kitchen counter. The next morning your boyfriend will wake up earlier than you to make coffee, and pop a droplet of dried glaze off as a sugary snack. “OH NO, I FORGOT,” you’ll hear him scream from the kitchen, followed by noises that roughly onomatopoeiate to “uuuahlllllhhhhhh.” It’s a lovely way to start your Saturday. Previously: The ChocoVine Chocolate Red Wine Cake. 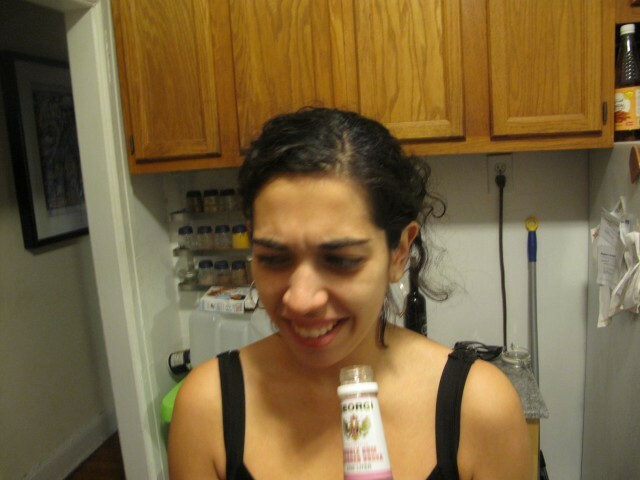 Jaya Saxena is wondering why these concoctions aren’t grosser.